Progressive is one of the largest car insurance providers in the United States. They provide insurance for motorcycles, recreational vehicles, boats and other commercial vehicles. They can also assist customers to find the best insurance policy for their homes. Progressive Mutual Insurance Company was founded by Joseph Lewis and Jack Green in 1937. The partners created the company to provide vehicle owners a sense of security and protection by purchasing insurance for their vehicles. Through their creative approaches of offering car insurance, they were able to grow their business in the US and internationally. They distinguished themselves from other insurance providers and became one of the largest auto insurers in the US. Presently, they have over 10 million policies in force! Being part of the company entitles employees with an annual bonus based on the company’s performance, 401(k) retirement plans, competitive pay, healthcare benefits with medical, dental and vision. They also offer tuition assistance and skills training for career development. An inclusive culture and attainable growth opportunities – these are two of the reasons people like to work for this company. The training programs and individualized development sessions provides an avenue for personal and career enhancement. How old do you have to be to work at Progressive? To pursue employment with Progressive Insurance, an applicant must be 18 years of age or above. Having a high school diploma and GED diploma is an advantage. Claims Representative: A claims representative resolves and documents filed auto claims in an accurate and timely manner. They interview all parties involved in an accident to determine coverage and liability decisions. They assess and confirm that the actual damage is consistent with the incident report. A bachelor’s degree and 2 years of related work experience is a must to apply. Subrogation Specialist: This specialist negotiates settlements on coverage, liability and damage disputes. They coordinate with all parties involved in the claims to collect or pay subrogation demands. They resolve medical, liability, coverage and property damage subrogation claim with attorneys, customers and businesses. Claims Adjuster: A claims adjuster inspects vehicles and estimates repair costs. They document claim related information and makes decisions consistent with claims standards and legal regulations. They develop strong relationships with body shops owners and technicians to be able to negotiate on repair pricing and assess liability. Previous automotive repair/appraisal or insurance industry related experience is required. Centralized Support Representative: A support representatives gathers and evaluates evidence like record statements, police incident reports and scene investigations results as part of the claims review process. They regularly correspond with customers, vendors and other insurance providers via email or phone call throughout the review. Emergency Communications Officer (ECC): The ECC responds to calls received through Progressive’s Emergency Hotline. They send out alerts and quickly dispatches emergency security personnel, and also process all documentation required to record the incident. Minimum 3 years military/ law enforcement experience is required to apply. Certifications on First Aid, CPR and AED is a plus. Accountant: An accountant performs a variety of accounting and reporting tasks for all key businesses of the company. The perform insurance and reinsurance accounting, reconciliations, billings and cash applications. A bachelor’s degree in accounting and at least 2 years of accounting experience is required for the job. Inbound Sales Agent: Handles inbound calls from customers interested to purchase an insurance policy. They inquire about the customer’s needs and recommends the best insurance solutions to meet those needs. They inform the customers of the product features and benefits while trying to cross or up-selling additional products or services. Bindery Technician: A bindery technician supports the print department by performing duties such as machine cutting, folding, shrink wrapping, gluing and collating offset and photocopy projects. They maintain and perform minor repairs for binding machines and equipment. 1 to 2 years work experience in production or print/copy/mail facility is a plus. Facilities Support Technician: A facilities technician performs general building maintenance that includes supply and inventory management, recycling management, furniture installation and repairs, vehicle management and setting up of meeting and conference rooms. A year of facilities support or customer service experience is a plus. House Counsel Paralegal: A paralegal research, maintains and organize files, draft documents and prepares motions for summary judgments and any other legal document required. Applicants must have a bachelor’s degree or paralegal certificate and at least 2 – 4 years of paralegal-level work experience. 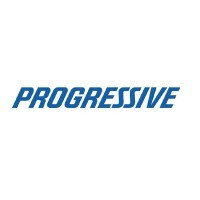 If you’re interested to pursue a career in the insurance industry, check out Progressive’s Careers page. Start the job search by enrolling your email address and creating your personal login. Once in, browse through the job listing for positions that are presently available for employment. Look the job opening that suited for you and click apply. Then you’d need to key in basic personal and employment information in the application. The process can be sped up by connecting your LinkedIn profile or uploading your resume to the system. This will auto-fill the application fields with extracted details. You must remember to review for mistakes before moving onto the next steps. To see if you’re a good fit for the company, some positions will also require an online assessment to be completed. It’s an hour-long test to gauge your problem solving, analysis and communication skills. If you qualified for the position, you’ll be called in for a series of interviews including a personal interview with the hiring manager. Face-to-face interviews use scenario-based questions to view how the applicant will handle certain real-life scenarios. As the brand name suggests, Progressive puts ingenuity and innovation in the forefront. They incessantly create new and affordable insurance solutions to help reduce the burden of accident-related costs. “Name Your Price” is an insurance option first offered by Progressive. With this option, the driver gives his spending budget range and the insurer adjusts their prices to find the best car insurance package that keeps within their limits. STEM Progress is a program to inspire students to pursue science, technology, engineering or math (STEM) courses. The company invests heavily in future generations to help them relate these skills to real-life situations and guide them towards the path of innovation and scientific progress. Pizza Pronto and Physics by Accident are two projects initiated by the company to teach high school students the basics of insurance and the importance of following safe driving practices. 1 How old do you have to be to work at Progressive?